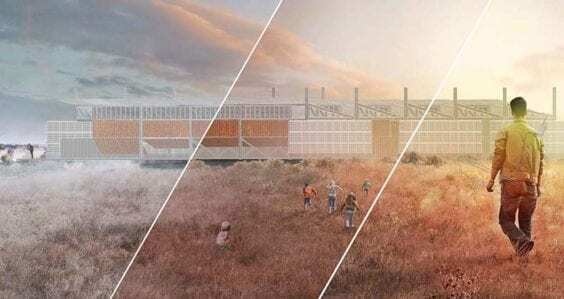 The winning designs created by Curtin University architecture students have been selected to help guide the vision for the new home of Nowanup Bush University, located 80 kilometres west of Bremer Bay. The designs will be used as inspiration for the official design of the new base for the bush university, a concept that was initiated by Curtin Elder-in-Residence Professor Simon Forrest, Nowanup Nyungar Elder Mr Eugene Eades and Gondwana Link CEO Mr Keith Bradby with the aim of providing a bush setting for transformational learning. 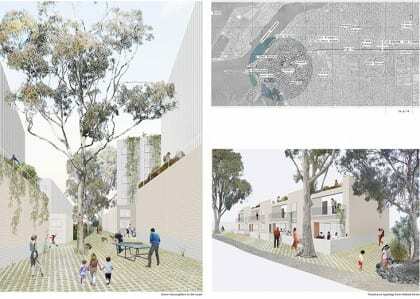 The winning design was influenced by examples of Aboriginal architecture that enables buildings to be expanded organically and incorporated open, sheltered spaces to ensure the land had space to breathe – a point highlighted by Mr Eades. Professor Forrest congratulated the students for the thoughtful, attention to detail and cultural consideration they put into their designs. “The Nowanup Bush University is an innovative learning concept that combines education with Indigenous culture and history, and I am delighted with the final designs the architecture students have created,” Professor Forrest said. The student teams worked with industry representatives from local architecture firms Cameron Chisholm Nicol, HASSELL Perth, SPH Architecture and Interiors, TAG Architects and Woods Bagot. 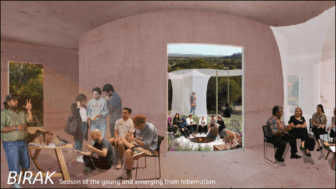 The winning design was created by the SPH Architecture and Interiors team, made up of Curtin University architecture students Emma Whettingsteel, James Russell, Luke Attewell and Tyra Connell. The TAG Architects team, including Curtin students Jayesh Soul, Shun Yuguchi, Zoe Ho, Mary Reale and Anthony Keutzer, received second prize and the Cameron Chisholm Nicol team, made up of students Jonathon Peake, Zoe Yeoh, Li Ping Bong, Ahdha Moosa and Eoin McAuliffe, won third prize. The design competition was organised by Professor Forrest, Ms Eileen Chan, Dr Emil Jonescu, Mr Chris Leong and Associate Professor Khoa Do from Curtin University, along with Mr Eades and Mr Bradby, as a step towards realising the vision for Nowanup Bush University. Building works, once completed at Nowanup, would incorporate various programs for university students, school groups, and community groups to interact and learn in an environment that is delivered in and from a Nyungar point of view and principles. Under Mr Eades’ leadership, Nowanup has been operating as a cultural knowledge camp as an alternative to detention for young Indigenous people since 2009. The 750ha Nowanup property was one of the first purchased to help achieve the Gondwana Link project, which aims to reconnect native habitats across the South-West of Western Australia. The presentation of awards to the participating students was held at Curtin St Georges Terrace today. Do you have a passion for architecture and the built environment? Put it to work at Curtin.